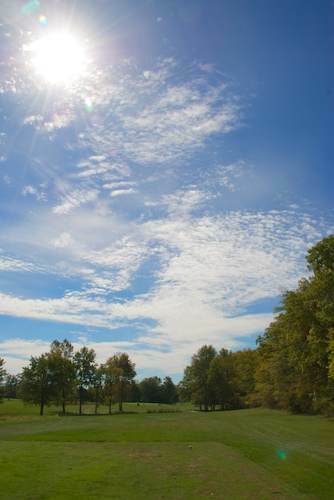 Cool Lake, located in Lebanon, Indiana, provides golfers with an enjoyable time at a competitive price. Water hazards and challenging greens are sure to add interest to a pleasant golfing experience! Memberships are available, as well as golf clinics and lessons. You can utilize our driving range to hone your skills, and our Pro Shop is fully stocked to supply your every need. Our professional and friendly golf staff is always ready to assist you in whatever you may desire. Trees and water hazards await you on our 18-hole course designed to use every shot in your arsenal. With tees ranging from 4,500 to more than 6,000 yards, we can test any skill level. Need to take a few swings before your upcoming round? We've got you covered. Short on time? Stop by for a quick bucket of balls. Cool Lake Golf Club has membership options for singles and families, walkers and riders. However you like to play, we're sure to have a great membership for you.